The Salt River Project (SRP) puts on an annual water expo, and this year’s featured a pile of cold, wet, white powdery stuff on a hot sunny day in Tempe. SRP Hydrologist Andrew Volkmer put snowshoes on two young boys while their guardian looked on. This is the first time they’ve worn snow shoes, they said, and their guardian said someone might need to explain to them first what snow is. When A Drought Lasts 18 Years, Does It Need A New Name? From the roof of Chuck McAfee’s adobe farmhouse in rural southwestern Colorado, you can see into three other states: Arizona, New Mexico and Utah. Mountain peaks are just barely visible above the horizon. Even though this part of Montezuma County is considered the high desert, it’s common for these grass and sagebrush hills to be snow-covered into spring. This year they’re bare, and have been since last winter. 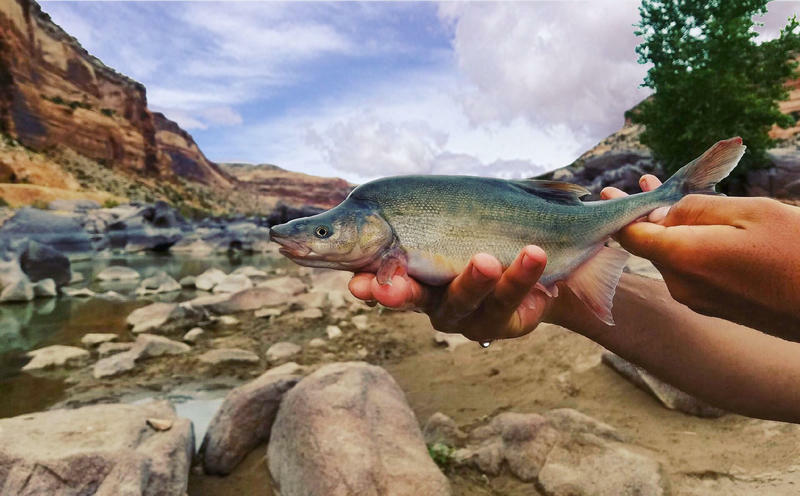 The humpback chub, a fish native to the Colorado River and considered endangered since 1967, has turned a corner. In a recent analysis, scientists at the U.S. Fish and Wildlife Service say the chub’s five distinct populations throughout the Colorado River watershed in Colorado, Utah, and Arizona are stable enough to reclassify the fish as threatened rather than endangered. 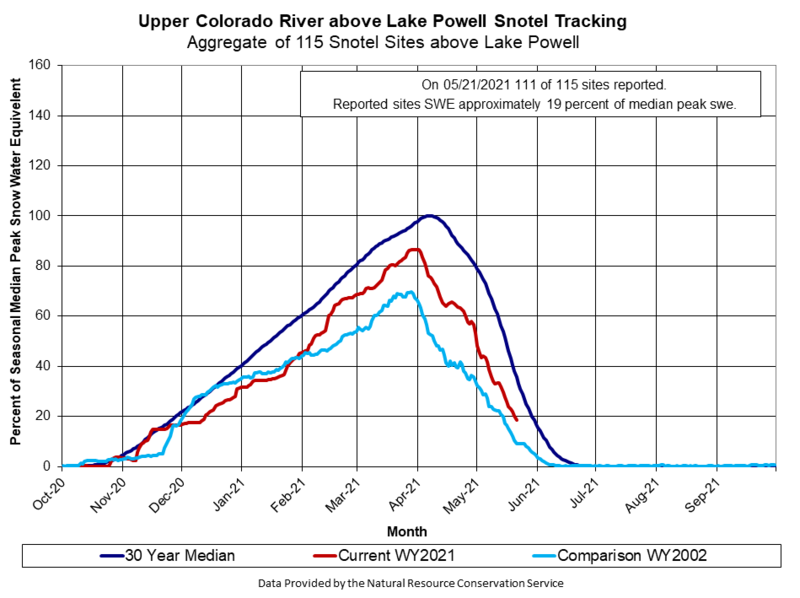 How bad is 2018 snowpack in the southern Rocky Mountains, you ask? Currently, snowpack in the Upper Colorado River Basin, which supplies the vast majority of water for what is arguably the southwest’s most important river system, sits at 69 percent of median. In 2002, the watershed’s driest year on record, there was more snow on the ground at this point in March than there is now. The biggest lake in California is shrinking. The Salton Sea occupies a hot, desert basin a short drive from the Mexico border and it’s been evaporating for years. From the air the lake is pear-shaped, bordered by an intense concentration of farms growing winter vegetables on its south end, and date palms, citrus and brussels sprouts to the north. It’s sustained by the Colorado River water that passes through these farms as irrigation before flowing into the 350 square mile lake. The fact the lake is disappearing isn’t a shock. Its ever-widening shoreline is tied to a deal billed as a the single largest transfer of agricultural water to a municipal area in history. For at least 15 years, authorities in California have known this would happen. Jim Cuming is a retired farmer, third generation. His grandfather immigrated to the U.S. from Ireland, by way of Canada. Edward Cuming got 160 acres in the Yuma Valley from the federal government. The land was as undeveloped as a dry riverbed, Jim Cuming said. In order to survive and develop the farm, his grandfather had to make a living. “This Laguna Dam project opened up. So they moved up to the dam and he worked on the dam there as a carpenter,” he said. Be prepared for some of the West’s biggest and most important rivers and streams to see record low flows this spring and summer. That’s the message of the Colorado Basin River Forecast Center’s latest water supply forecast released Monday. Western Snowpack Is Low. How Worried Should We Be? This winter in the southern Rocky Mountains is shaping up to be one for the record books. And not in a good way. Parts of the West are currently experiencing one of the driest and warmest winters on record. Snowpack is far below normal levels in southern Colorado, New Mexico, Arizona, Utah and California, leaving some to worry about this year’s water supply. Luke Runyon visits a snow measurement site in Colorado's mountains. 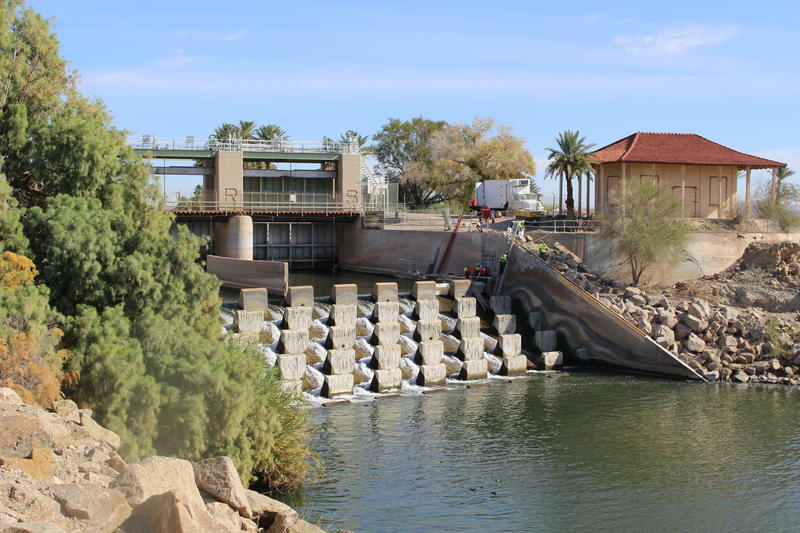 The first official forecast for the amount of water expected in the Colorado River and its Rocky Mountain tributaries this spring is in, and the outlook is grim. “Well, it’s not looking really great at this point,” says Greg Smith, a senior hydrologist at the National Oceanic and Atmospheric Administration’s Colorado Basin River Forecast Center in Salt Lake City, Utah. Layers of snow in the Colorado, Wyoming and Utah mountains feed the Colorado River basin. Some regions are reporting the driest start to a winter ever recorded. 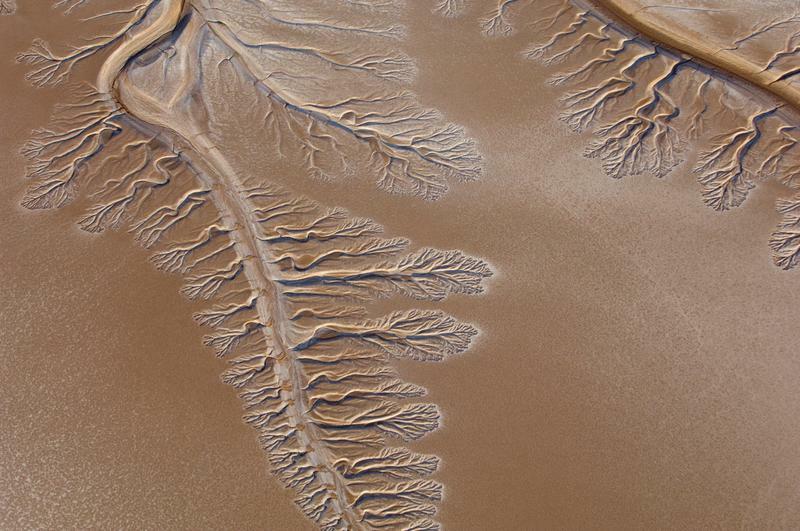 All of the river’s upper basin streams empty into Lake Powell, a reservoir on the Utah-Arizona border. The lake’s inflow -- all water entering the reservoir -- is anticipated to be 55 percent of average during spring runoff.